Neck pain is a common condition and can be associated with stiffness, tenderness and soreness in the neck. The pain may spread to the arms, shoulders and upper back. It may also cause a headache. Neck pain can be acute and occur for a short duration or it can be chronic and occur for longer time. The causes of neck pain can be whiplash injury, cervical osteoarthritis, muscle sprains and strains, headaches, rheumatoid arthritis, ankylosing spondylitis and osteoporosis. If you experience neck pain, as a first step try resting your neck for a while. Avoid straining your neck unnecessarily. However, do not immobilize it with a neck collar. A neck collar can lead to weakening of muscles and immobility of joints. Wait for a few hours before you take measures to deal with the pain. Your body has self-healing properties and sometimes the pain may disappear on its own with little rest. Cold therapy by applying ice or cold packs may help reduce inflammation and pain. You should apply cold pack at 20 minutes interval for the first 24 hours after the onset of pain. It makes blood vessels to constrict, which reduces swelling in the affected area. The small nerve fibers in the affected area become numb, which reduces pain. 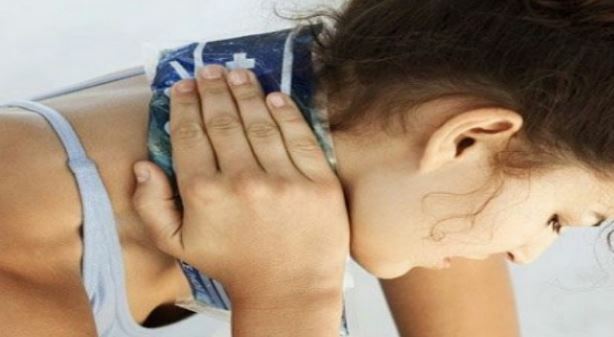 You should always wrap ice in a towel and then place it on the neck to avoid frost bites. For chronic neck pain cold therapy is not recommended. How to relieve neck pain? If you are suffering from chronic neck pain then applying moist heat may provide relief. In chronic neck pain, which is not associated with any inflammation, moist heat therapy works better than cold therapy. It increases blood flow to the affected area, which helps ease pain and discomfort. Readymade herbal moist heat packs are available in the market, which can be used for 20 minutes, 3 times a day to provide pain relief. It is advised that you should stay hydrated to prevent your neck pain from getting worse. The discspresent between your vertebrae are made of 80% water. It is important that they retain their water content to maintain their dimensions. This will maintain the shape and alignment of the spine and place less stress on it. The discs may lose their water content as you age and therefore degenerate. By staying sufficiently hydrated you can prevent cervical disc degeneration from progressing, which eventually reduces neck pain. This is an effective and easy home remedy for your neck pain. You should stand under the shower and expose the affected neck area to warm water from for 3-4 minutes. Then expose the affected area of your neck to cool water for 30-60 seconds. Warm water increases the blood circulation in the affected area and cold water reduces inflammation in the area. How to relieve neck pain? 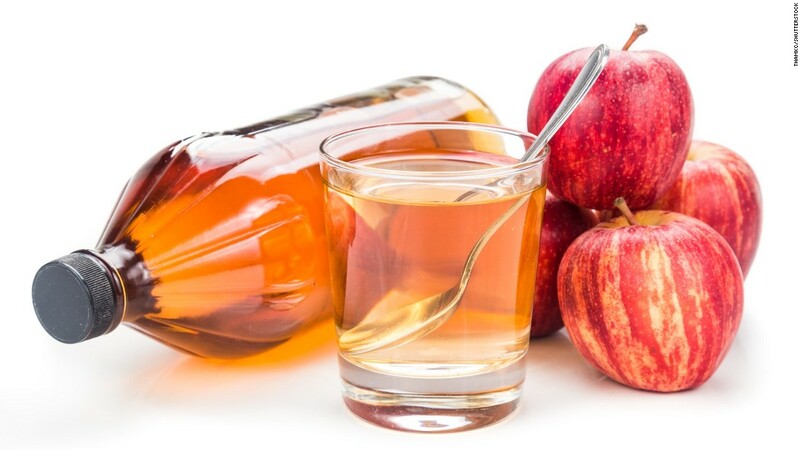 Apple cider vinegar has antioxidant and anti-inflammatory properties that can provide pain relief. You can add 2 cups of apple cider vinegar to your bath water and soak in it for 15 minutes. You should repeat this once daily for relief from symptoms. Epsom salt baths are known to reduce stress, relax your muscles and provide pain relief. Add one or two cups of Epsom salt to a warm bath. Soak your neck along with your body for 15 -20 minutes. You can repeat it until you get pain relief. If you suffer from diabetes, high blood pressure and heart problems avoid Epsom salt bath. You should opt for a chair with a head rest, especially at work, to support your neck and reduce stress on it. You can also add a head rest to your car seat to avoid stress on your neck while driving. You should adopt the right sleeping posture to prevent your neck pain from aggravating. Avoid sleeping on your stomach. Sleeping on your back or on your side is the best posture. How to relieve neck pain? You can use special orthopedic pillows to help relieve your neck pain. You can do mild stretching exercises to relax the muscles of your neck if you have mild neck pain. However, avoid doing these exercises if you have intense pain. Stretching exercises relieve soreness and tightness of the affected muscles and relax them. Don’t overstress your neck while performing the exercises and stop exercising if you feel pain. Stick to doing exercises that you can tolerate well. Some of the stretching exercises include: rolling your shoulders, shrugging movements where you squeeze your shoulder together and moving your head sideways such that your ear touches your shoulder. If your pain persists you can opt for over-the-counter pain medications such as NSAIDs (ibuprofen, aspirin, and naproxen) and acetaminophen. It is advised that you take pain killers only for a short duration. Do not take pain killers for more than two weeks. You can also take muscle relaxants such as cyclobenzaprine to reduce muscle spasms. Avoid taking NSAIDs along with muscle relaxants. How to relieve neck pain? 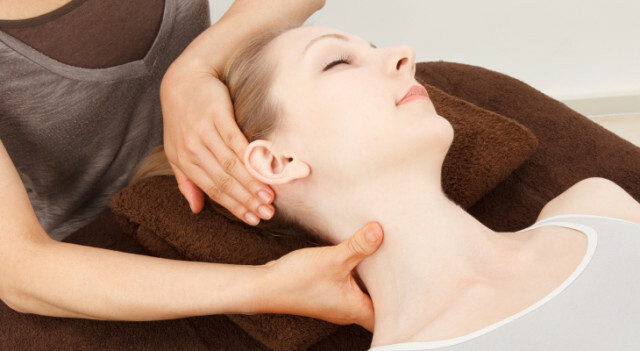 You can opt for a professional neck massage, which may provide relief from neck pain. A good neck massage may help relax your muscles and reduce muscle spasm providing pain relief. You can regularly go for a neck massage if you have chronic neck pain which may provide gradual relief from your pain. In acupuncture tiny needles are inserted into energy points on your skin to provide relief from pain and inflammation. Acupuncture is considered very safe and it can give you effective symptomatic relief if you start it during the early stages of your neck pain. Acupuncture causes the release of endorphins and serotonin in the body, which are essential for reducing pain. If your neck pain does not respond to home remedies and other measures consult your doctor. He may suggest corticosteroid injections or surgery. Corticosteroid injections are administered directly into the affected area and gives instant relief. However, they should not be used too often. Your doctor may suggest neck surgery if other treatment options do not provide relief. Neck surgery is effective in case of fractures, slipped discs and dislocations.